It’s Christmas Eve and snow has started falling on the small Scotland town of Stirling. Margaret Campbell has just had a row with her family and wants nothing more than to catch the first train out of Stirling back to Edinburgh. Gordon Shaw has just completed his interview for the newspaper he works for and he too is eager to leave Stirling but for an entirely different reason. Stirling was his home long ago until the shame of a tragic accident forced him to move away. 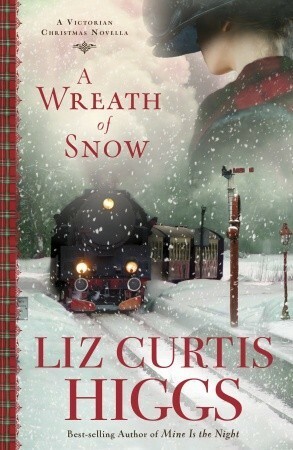 The snow is coming down harder when the train finally departs from Stirling with Margaret and Gordon on board when it collides with a large snow drift (also known as a wreath in Scotland). It looks like Margaret and Gordon will be forced to stay the night in Stirling after all. As they begin the long, cold walk back to town they start up a conversation and when Gordon reveals who he is, Margaret is angry but after he explains his past and the guilt he has been harboring for so many years, she can’t help but see him as a changed man. When they arrive in Stirling, they are met by Margaret’s family and they invite Gordon to spend Christmas with them, but they are not aware of the secret he carries….a secret that effects them as well. Margaret is reluctant to reveal Gordon’s identity and secret for fear it will ruin the family Christmas. But being the honorable man that Gordon is, he must come clean to her family…..but will her family find it in themselves to forgive Gordon once they know? This is a story about forgiveness and the power of the Christmas spirit. I don’t know that I would call it a love story, but it did have romantic undertones. I recently read my first ever Christian Fiction novel, The Tutor’s Daughter which I loved. I don’t have anything against Christian Fiction, but it’s not a genre I would normally read but since I love historic fiction and The Tutor’s Daughter was good and light handed on the Christian Fiction message, I thought I would give this book a try. I have been trying to get my hands on a copy for some time, I figured it would be right up my alley…..all things Victorian, some romance, the Highlands, and of course Christmas. Perhaps I built this book up too much in my mind….I felt slightly let down by it. I felt the Christian Fiction message was a little heavy handed and much for my taste. At times it felt preachy and forced. I also thought the ‘romance’ between Margaret and Gordon was a little too predictable and very G rated…..like not even a kiss. I found it hard to believe that they would fall in love after only a day or two…that was a little too unbelievable for me. It was really more of a parable about forgiveness and the Christmas spirit, and thought it had a good message I felt it was predictable and the characters were very flat for me. The story itself fairly uncomplicated but at the same time, I found parts of it confusing. For example, I never completely understood why Margaret and her brother didn’t get a long and why she ended up at the train station in the first place. It was somewhat explained in the story but not entirely to my satisfaction. Over all I felt that the story focused too much on the Christian message and less on the story. While this might be an enjoyable read for some, it wasn’t my cup of tea. If you like a light hearted, predictable, fluffy Christmas story than this is the novella for you, but for me it just didn’t deliver all that I was hoping for.